L. Mok, "Kinetic Studies of the Flash Pyrolysis of Wood Bark", McGill University, MESc-1984. A. Ravella, "Pseudoadiabatic Reactor for the MTG Process", University of Western Ontario, MESc- 1985. K. Morley, "Kinetics of Catalyst Regeneration", University of Western Ontario, MESc-987. R. Collyer, "Kinetics of Fast Catalytic Cracking Reactions", University of Western Ontario, MESc- 1987. H.Schindler, "Regeneration of Catalyst in a Microcatalytic Reactor", University of Western Ontario, MESc-1988. D. Kraemer, "Catalytic Cracking in a Riser Simulator: Design and Testing", University of Western Ontario, MESc- 1987. J. Chabot, "Fiber Optic Sensors for Fluid dynamic Studies in Multiphase Reactors", University of Western Ontario, MESc-1990. D. Huskey, "Evaluation of a Multitubular-Cracker-Exchanger FCC Unit", University of Western Ontario, MESc-1990. D. Sobocinski, "Application of Fiber Optic Sensors for Measurements in Gas-Solid Down Flow Reactors", University of Western Ontario, MESc-1993. A. Gianetto, "Novel Cracking Catalyst for Reformulated Gasoline, University of Western Ontario, MESc-1993. S. Rong, "Novel Catalysts for the Conversion of Synthesis Gas into Light Olefins", University of Western Ontario, MESc-1995. Y. Huang, "Kinetic Modelling and Catalyst Characterization of Sm2O3-OCM Catalyst", University of Western Ontario, MESc-1995. K. Jarosch, "Novel Inconel Supported Pd Membranes for Hydrogen Separation" University of Western Ontario, MESc-1995. J. Pruski, "Catalytic Cracking of Hydrocarbons in a Riser Simulator Reactor. 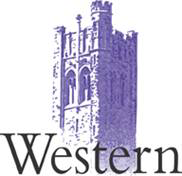 Reaction and Adsorption Effects", University of Western Ontario, MESc-1996. L. Hagey, "Kinetic Modelling of the Conversion of Synthesis Gas into Light Olefins in a Bifunctional Catalyst", University of Western Ontario, MESc-1997. P.Fournier, "MTBE Synthesis in a Riser Simulator", University of Western Ontario, MESC- 1997. T.El Solh, "Heterogenoeus Catalyst for Methane Reforming", University of Western Ontario, MESc- 1998. H. Ibrahim, "Novel Photocatalytic Reactor for The Destruction of Air Borne Pollutants", University of Western Ontario, MESc-1998. E. Peluso, "Egg Shell Catalyst for Hydrocarbon Synthesis. Kinetic Modelling and Reactor Simulation", University of Western Ontario, MESc-1998. C. Galarraga, "Catalyst for the Synthesis of Middle Distillate Hydrocarbons", University of Western Ontario, MESc-1998. P. Johnston, "Fluid dynamic studies in down flow reactor", University of Western Ontario, MESc- 1999. S.Nova, “Fiber Optic Sensors for Multiphase Reactors”, University of Western Ontario, MESc-2001. R. Hernandez Enriquez, “Catalytic Dehydrosulfidation of Gasoline“, University of Western Ontario, MESc-2003. J.Ginsburg, “Gasification of Biomass and Dry reforming of Methane Using Nickel Supported Catalysts”, University of Western Ontario, MESc-2004. S.Romero, “CFD Modelling of the Photo-CREC-Air reactor”, University of Western Ontario, MESc- 2005. M.Al Sabawi, “Catalytic Cracking of Gas Oils with Y Zeolites with Different Crystal Sizes”, University of Western Ontario, MESc-2005. K. Sedor, “Nickel-Alumina Oxygen Carrier Materials for Chemical-Looping Combustion”, University of Western Ontario, MESc-2007. S.Al-Ghamdi, “Catalytic Oxy-dehydrogenation of Paraffins: Catalyst Activity and Stability”, University of Western Ontario, MESc-2010. Y. Aponte “Sulfur Reduction Using FCC Additives in Aromatic Gasoline Environment”, University of Western Ontario, MESc-2011. V. Rodger “Photoconversion of Opaque Fluids in Photo-CREC Reactors Sc, University of Western Ontario, MESc-2012. Carrillo Reveles, “Mathematical Modelling of the Catalytic Conversion of Biomass” MESc-2014, Universidad Autonoma de Zacatecas Scholarship. Giron A., “Gasification of Biomass Feedstock in CREC Riser Simulator”, University of Western Ontario, MESc-2016. I. Hernandez Cervantes “ Selective Catalytic Conversion of Ethanol into Hydrogen”, Universidad Autonoma Metropolitana, Conacyt Scholarship, MESc 2016. J.L.Vazquez Minjares “Photoconversion of organic pollutants in PhotoCREC reactors”, Universidad Autonoma de Zacatecas Scholarship, MESc 2016. M.A. Hernandez Mazatan “Hydrogen Production from Pharmaceutical Industry Waste Waters”, Universidad Autonoma Nacional Mexico Scholarship, MESc 2016. ©2010 Chemical Reactor Engineering Centre, University of Western Ontario.